You see a new car driving beside you on the road and think to yourself, “I should really wash my car”. Don’t worry, we have all been there. Yes, car cleaning looks like such a chore but have you ever thought that why does it come so easily to take a bath and when it’s time for the car, you hem and haw around. Taking your car to a car wash service every month can be extremely expensive and let’s face it, not all of us do this monthly. Imagine all that dirt accumulating on your car, which by the way you can’t see, destroying its beauty. Cleaning the car’s interior is quite easy because all you need to do is wipe it off with a wet cloth and then wax it. As for the carpet, if removable, you can wash it with detergent and vacuum the rest of the area. However, if we talk about its exterior, you need to take a much more lengthy approach. Be prepared to put in some elbow grease because things are about to get dirty and wet. You don’t need any fancy products for car cleaning. You might be tempted by the store shelves lined with special solvents, wipes and brushes but think to yourself – Do I actually need this? No, because I am about to tell you some secret washing hacks that will help you clean your car in six easy steps. One of the biggest mistakes most people make during car cleaning is that they use dishwashing liquid or detergent to wash the car. While these lubricants may remove the dirt, it also strips off the wax and leaves the paint vulnerable to rust. So, buy any car washing liquid and rub in the suds with a mitt. Instead of cleaning the soap with buckets of water, use a hose and turn it to high pressure. This will remove the stubborn dirt stuck in the rims. Once the car is free of dirt, you will clearly see swirls, oxidation and scratches in the paint. When your car goes at a high speed, say 60 mph, the crud in the air gets stuck in the open surface, which gives rust a place to hide. Though washing removes the dirt, the sharper grit remains. For this step, you need a clay kit. “Clay-Barring” is a process in which you use the clay and the lubricants that come with it to clean these scratches. Press the clay into your palm and spray the lubricant on it. Now, rub it over the scratches. This will remove the last wax job and restore the paint’s smoothness. The deeper the scratches, the higher the number of times you will have to use a new piece of clay and a fresh spray of lubricant. The clay turning gray is an indication that dirt is being removed. If you find “Clay-Barring” hectic because your car has too many scratches then, an alternate option is to use WD-40. 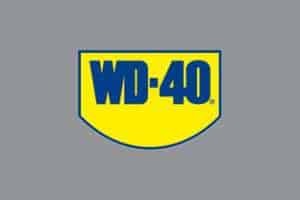 WD-40 can help when car cleaning. Along with cleaning dirt, oil and grime from the car’s surface, it is also used to loosen nuts and screws and prevent metal parts from rusting. With a single spray of this lubricant, you can not only clean a car’s surface but also prevent it from corrosive elements. Just spray it on the scratches and scratch the dust with a steel wool. Spray a second layer of coat and let it dry. This will prevent dirt particles and rust from attaching to the car’s surface for six months. Polishing is quite different from waxing. Though this step is optional, it can remove the lighter scratches from the car’s surface. You don’t need a polisher for this step. Pour a little car polish in to a pad and wipe it all over the car. No car cleaning is complete without wax. Waxing the car protects it from the UV rays and prevents fading. It also protects the car’s paint from bird droppings. Apply a small amount of wax on foam and rub it in circular motions. There are two types of wax – One that gives a white shine finish and other that gives a glossy finish. Depending on your car’s paint colour, you can choose any one. Instead of using glass cleaning sprays, use WD-40. After washing the glass with soap and wiping out the excess of moisture, spray a little WD-40 on it and rub it in to remove the dirt. Make sure to roll down the window and clean the top of the glass. One other complain that I hear in car cleaning is that people are unable to remove the stickers pasted on the windscreen. No worries because WD-40 can even clean that. Simply spray it on the sticker and patiently wait for some time. The chemicals in the lubricant will loosen the sticker and you can remove it with a plastic putty knife. So, there you go . . . six easy steps for car cleaning. You don’t need any expensive supplies to follow these six steps. 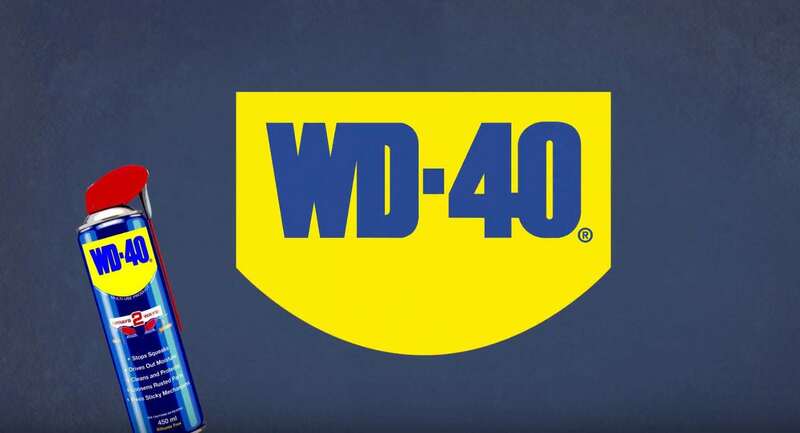 All you will need is the WD-40 lubricant that will help you clean certain surfaces that you previously thought were impossible to clean. This lubricant is strong enough to be used on any surface of the car, including the engine. The lubricant offers six months of protection from dirt and rust. All you will need to do is wash and wax your car once every month and WD-40 will take care of the rest.